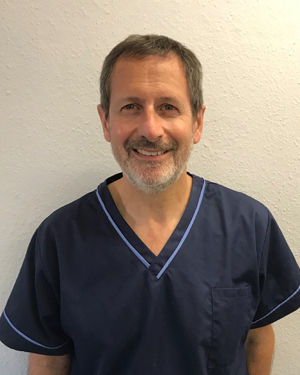 Lee Raphael is a member of The Society of Chiropodists and Podiatrists and registered with the Health Council Professionals. Trained at the University of Westminster and Brighton University, his long-term ambition was to set-up a chain of foot clinics in both East London (Essex) and North London (Hampstead). His purpose was to help children and adults to be mobile, rectify walking disorders and to treat foot ailments. Throughout his many years in practice, he has established a highly respected reputation as a podiatrist who is experienced and understanding. Ensuring that his patients always receive top quality and effective treatments, his practices have been developed by ongoing recommendations. That’s 4 times around the earth. Understanding the foot’s complications and technicalities, is a lifetime’s pursuit of ongoing knowledge. As technology improves, Lee ensures that he maintains his understanding and ability to apply latest methods and science to help his patients. In addition to treating immediate problems, Lee’s understanding of biomechanics and foot function, enables him to analyse underlining causes, thereby ensuring long-term results.